Instagram Contest: Like to Win! Since March of this year, I’ve been running a personal Instagram account sharing new books and events and asking for input on artists’ books purchases. 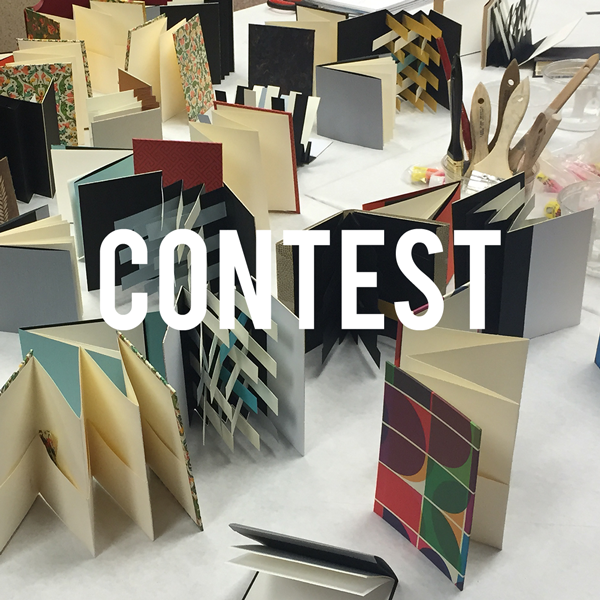 The account, @stampscollecting, is going to have an Instagram contest this November. The prize? Book arts supplies! Specifically, a self-healing cutting mat, bone folder, pack of needles, and waxed thread. The rules are simple: like any of the posts from @stampscollecting during the month of November and be entered to win. Liking multiple posts will give you additional entries into the contest. Even if you’ve already got the supplies, follow @stampscollecting to see the latest on art & design at the U-M library. Coming in December (date to be announced on Instagram): finals time stress relief! Step one: make buttons. Step two: breathe! Step three: feel energized to take on your final projects!